1963. A time of great change and beginnings. Robert "Bob" Miller, a teacher at the California Youth Authority's Preston School, brought together a small group of friends to sing Christmas carols for the community. From those humble beginnings, grew an over 44-year tradition of music, style and sophistication that continues to delight the heart of the Mother Lode. Bob led the Choraliers for 32 years. He helped to forge the Amador Choralier Foundation, reaching out to the community and the schools. Some other remarkable people had helped him on his journey. Don Singer accompanied the group on keyboard for over 30 years. Jack Ireland's legacy with the Choraliers infused the Foundation with the need to help the children of the community. Bob Knudsen and Don Conarroe, also charter members, continued to bolster the Bass section until their retirement in 2002 and 2001 respectively.. Speaking of Basses, Irv Gidding, another member from the beginning years, has been adding to the beat with his string and electric bass, not to mention a lively trill on his trumpet. He also still sings with the Men’s Chorus and directs the Women’s Chorus. Bob always had his own style. One thing he always insisted on was Memorization!  Amador Choraliers is among a unique and select few groups in that all concert material is memorized. Bob Miller and Don Singer retired from the group in 1994 turning over the reigns to a new group of musicians. Yet, even then, it took four people to take over for Bob and two for Don! The group was then lead by Darlene Williams, Karen Reed and Wally Parker. Irv Gidding continued to provide the instrumental bass and trumpet, as well as stepping in to direct some of the specialty group numbers. Karen and Wally handled the accompanist duties and occassionally a choralier member will step in to help with the piano. Karen Reed retired in 2017 with Holly Wendland stepping up to assist in directing and Kathy Cupps tickling the ivories. After 53 years, Irv Gidding says goodbye and, frankly, is irreplaceable! Specialty groups still include the Men's and Women's Chorus, the Women's a Capella Quartet, other small groups, duets and solos. The Amador Choraliers are always looking for new members. Contact us if you think you would like to join this prestigious group and keep the tradition alive in Amador County!